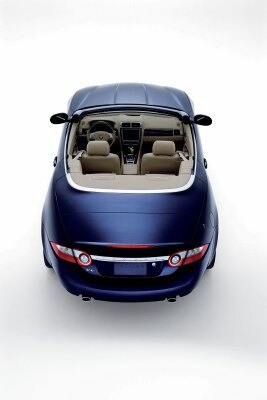 media outlet to publish an image of the new Jaguar XK convertible. 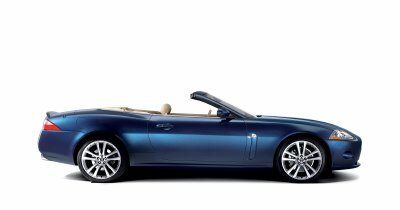 With the all-new XK Coupe now revealed to the world, Jaguar has announced another all-new XK - the XK Convertible. Designed in parallel with the Coupe as a model in its own right, the new XK Convertible uses the same advanced aluminium body structure technology to achieve excellent rigidity while minimising weight. At just 1,635kg, the new Convertible - lighter than both its predecessor and rivals - is the lightest car in its competitive set. A 300bhp, 4.2-litre V8 engine and Jaguar Sequential Shift steering-wheel-mounted gearchange controls ensure rapid performance of 0-100kmh in 6.3 seconds and an electronically limited top speed of 250km/h. The luxurious triple-lined, fabric roof - which can be powered up or down in less than 18 seconds - stows fully out of sight beneath an aluminium tonneau cover when retracted. A roll-over protection system comprising two 'hidden' aluminium hoops that deploy in the event of an incident is standard on all XK Convertibles. 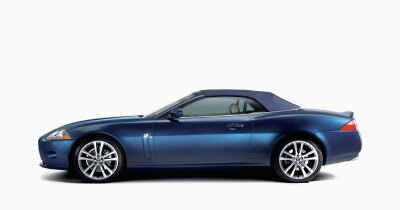 The XK Convertible will be manufactured in a state-of-the-art production facility at Jaguar's Castle Bromwich plant in the West Midlands region of England. The Next Car team expect the new Jaguar XK models to be available in Australia in late 2006.